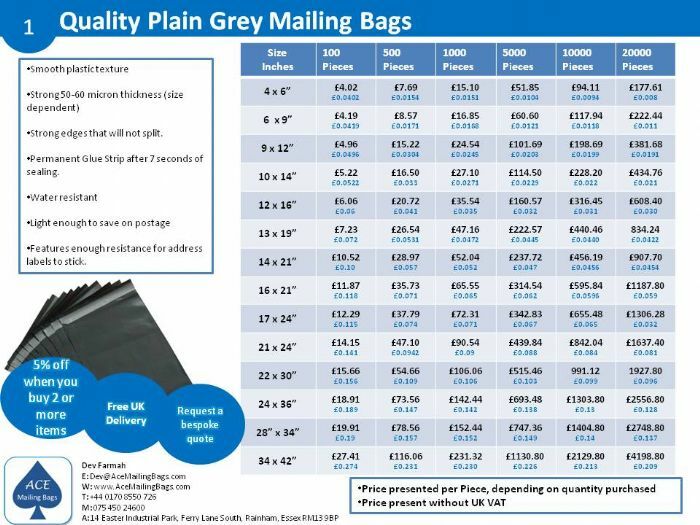 Grey Mailing Bags in a range of the most popular sizes. Made from Grey Polyethene Plastic, this Packaging form is perfect for a wide range of products. Our range of Grey Poly Mailing Bags are direclty imported from the far East on a regular basis offering you a competitive price. Grey Mailing Bags - 42 x 60 cm - 17" x 24"